I get what the fuss is all about. I am now a proud fuss-er. 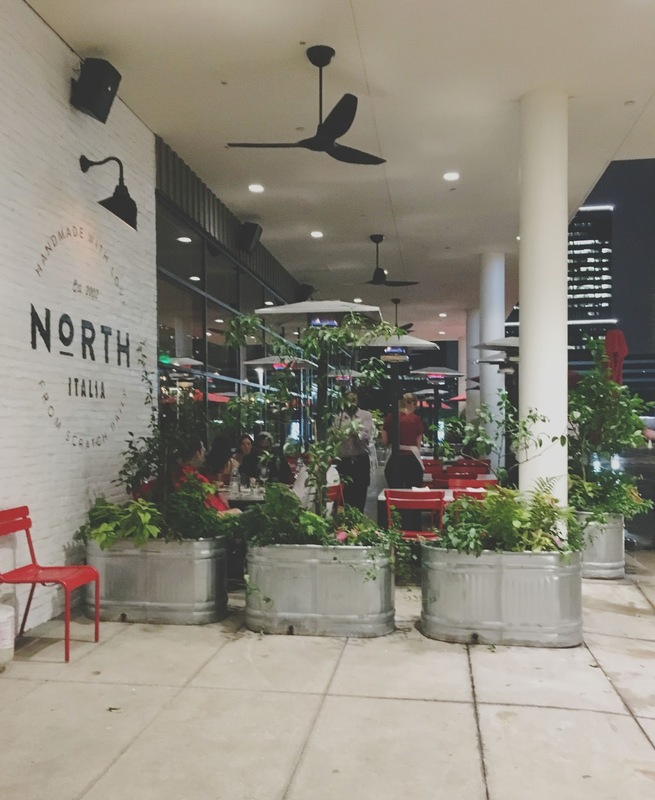 When the restaurant North Italia opened in Houston's Galleria area last spring, my interwebz and social medias were blow. ing. up. People couldn't get enough of it! And now, almost a year later, people are still a-buzz over it, and it still ain't easy to get a reservation! I had never been, but I didn't understand what the hullaballoo was all about. An Italian [small, national chain] restaurant in the Galleria? How good could the food really be? The four of us were seated at a cozy table in a corner of the restaurant, and we were greeted by our incredibly friendly, knowledgeable, and engaging server. Before ordering our main course of food, we split a bottle of wine and started off with the truffle garlic bread. If you only did one notable thing for the rest of your life, and that thing was eating this bread, I promise you would have zero regrets. I cannot even possibly tell you how incredible this dish was, but I'm going to do my best. The lightly toasted bread was fluffy and cut into thin, manageable slices. It was beautifully soaked (but not soggy) in a rich truffle oil, which oozed gracefully with the standout garlic. 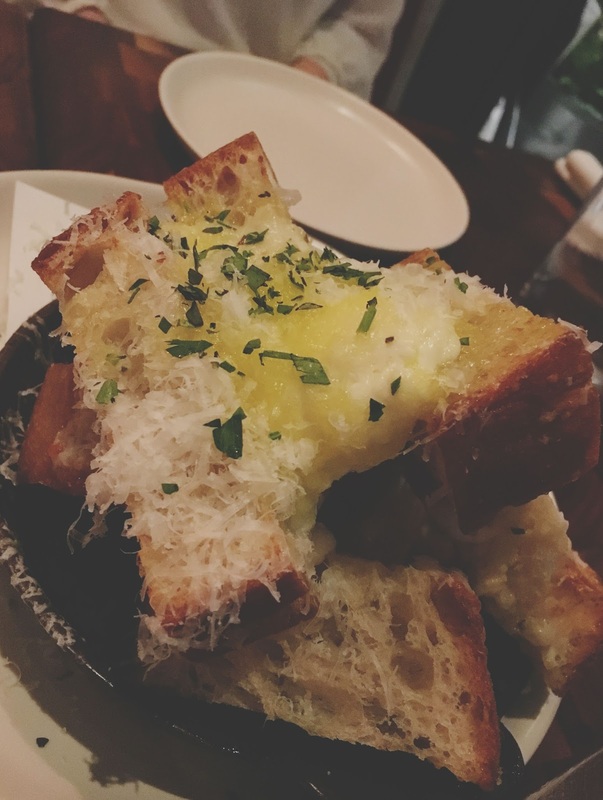 A silky house-made ricotta bubbled on top of each slice, and a topping of shaved grana padano cheese gave it a nice, tart kick. A sprinkling of fresh herbs added yet another element of aroma and joy to the bread. Believe me when I say, this was an exceptional dish, and by far one of the best Houston food items I've had in the past year! For my next course of food, I ordered a simple salad. Fresh, and lovely greens were elevated by the inclusion of playfully textured, smokey pine nuts. 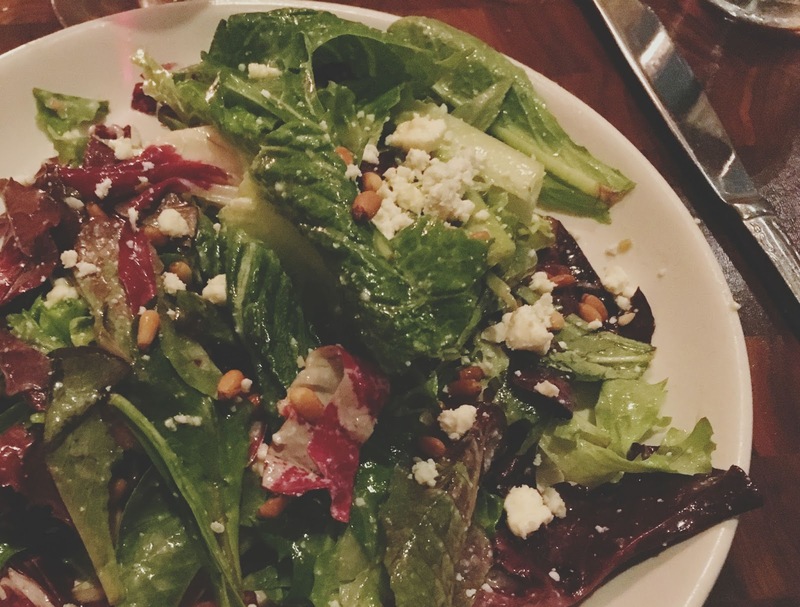 An elegant, strong gorgonzola dressing was a powerful addition, and it really set the dish apart from your regular run-of-the-mill dinner salad. At the recommendation of our server, I ordered the cheese tortelloni as my entree. Y'all, I had another out-of-body experience with this one. 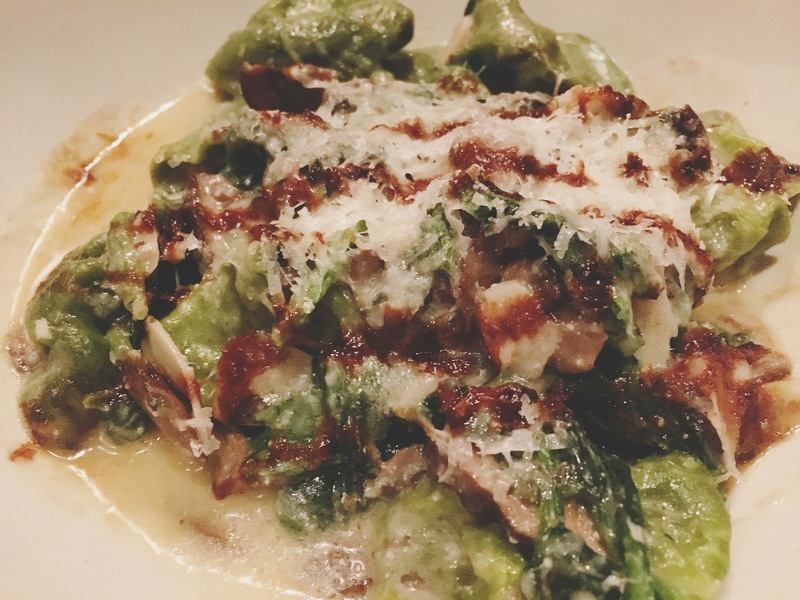 Doughy spinach pasta was generously stuffed with ricotta, and swimming alongside roasted mushrooms, spinach, and grated pecorino in a decadent creamy sauce that contained a drizzling of a sweet saba. Each bite was an explosion of dancing, luscious flavors, and once again, this is one of the best dishes I've had in Houston in the past year! After emerging from our phenomenal food-induced hazes, we ordered the restaurant's bombolini for dessert. After having previously indulged in heavier fare, these little Italian donuts were just what we needed. 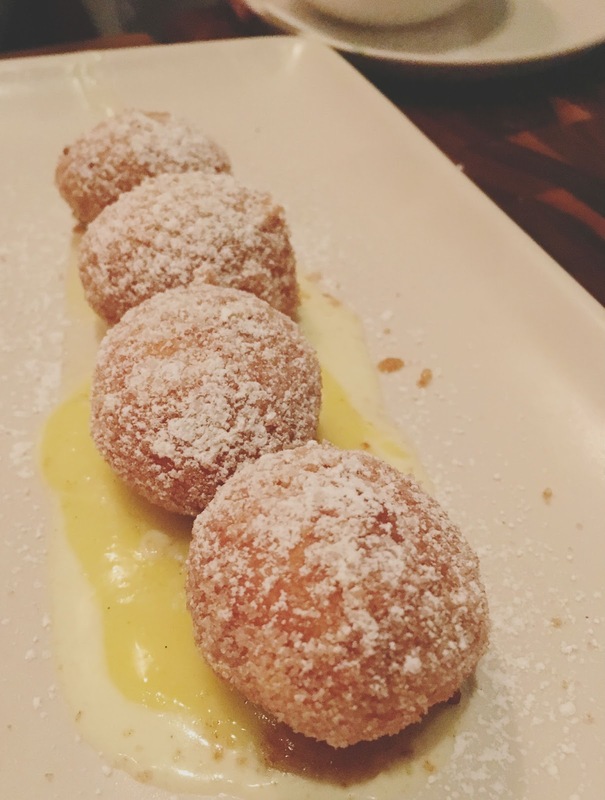 The small balls of dough were filled with a meyer lemon curd and smooth vanilla mascarpone. They were not overly sweet, and surprisingly light. Definitely a fun and tasty way to end the meal! Take my word for it, the North Italia Fuss is totally warranted. 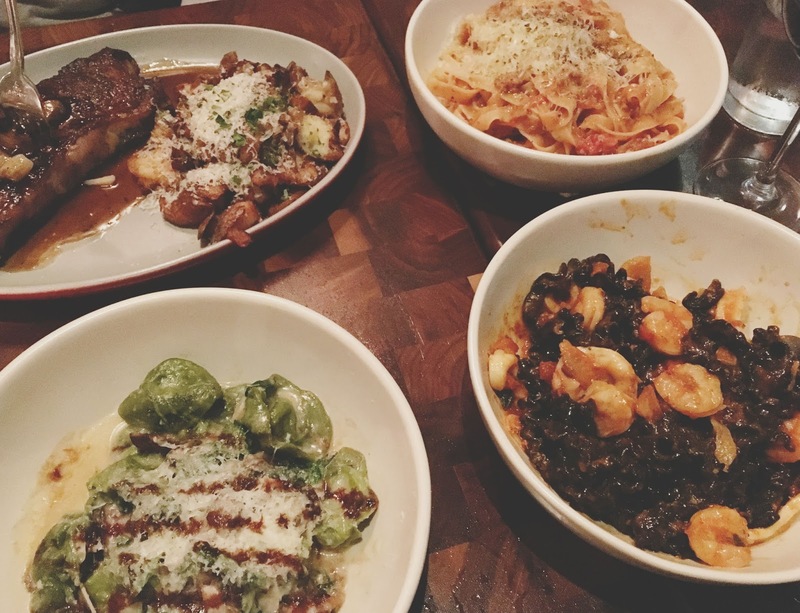 Each dish I tried that evening in Houston's Galleria area was masterfully crafted and bursting with a diverse amount of fresh and multi-layered flavors. The ambiance - while a bit loud at times - was dark and romantic, the service was stellar, and the food was out of this world. 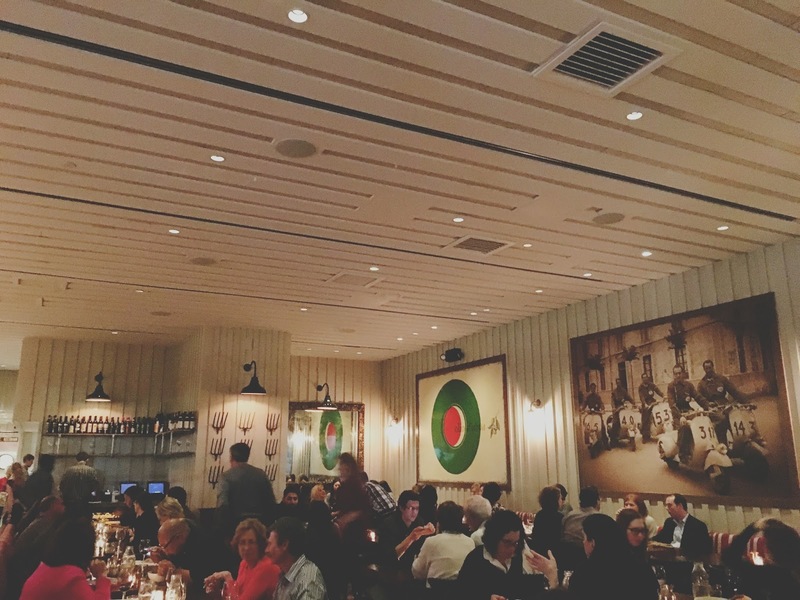 Houston is very fortunate to have North Italia included in its vibrant restaurant scene!